You might think starting FanCon was as easy as picking up the phone and booking William Shatner and maybe that is true for other conventions. But that simply wasn’t the case for us. A lot of groundwork had to be laid before we could open the doors for FanCon year 1. Let me bring you back a few years to where it all started… 2014. All the signs are there that a comic con could be a reality in Prince George. 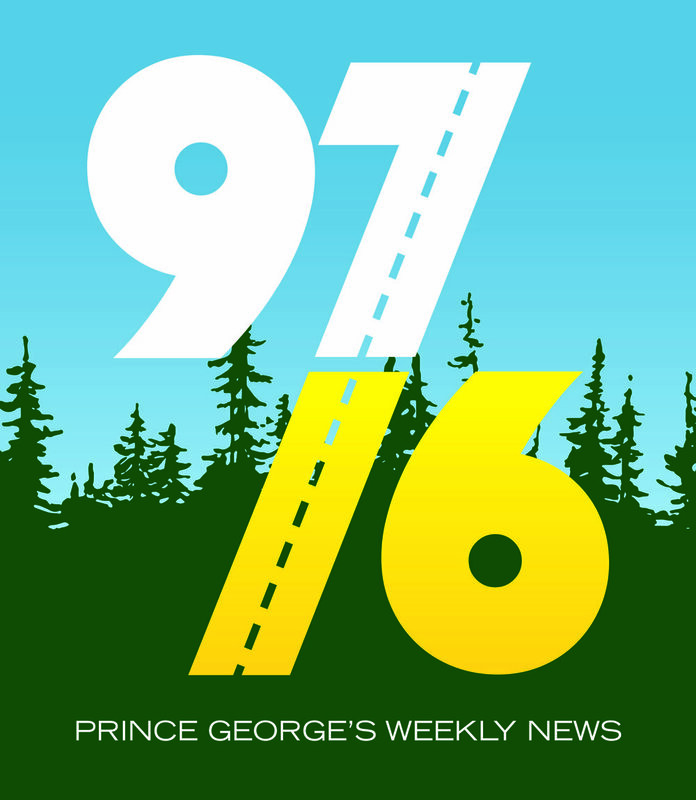 To me at least, and very luckily, my advertising manager at the Prince George Citizen – Dave Smith. At that time, I had moved into a role as Event Division Manager for the paper. Dave and I were constantly batting around ideas for potential tradeshow style events as part of this department. Through our time working together, we hosted the Sweetheart Bridal Show, the Outdoor Adventure Show, and the Healthier You Expo (with Shirley Bond MLA and IMSS) to name only a few. We had seen some success with a celebrity placement at Northland Hyundai with a longtime friend and collaborator of mine Kyle Bachman (who went on to become the dealer principal of Northland Dodge). Kyle and I worked together for over a year to bring MMA superstar George St. Pierre in for an autograph signing at the dealership. The event was an unprecedented success and drew a lot of attention to the prospect of drawing more stars to Prince George. Being a proud nerd at heart, I had always wanted to just go to a comic con and when the thought struck me that we could merge our success in tradeshows with this kind of star power. I pitched Dave the idea and he loved it. I pitched Colleen on the idea and she loved it. Then I had to pitch Peter Kvarnstrom – President, Community Media (for Glacier Media – parent company of the Citizen). Peter loved it. All three conveyed how important it was to know exactly what sorts of costs we were looking at and the critical piece of sponsorship support to make it happen. I travelled to Calgary Expo on a fact-finding mission. I was overwhelmed by the scale of their event (their attendance topped 97,000 people that year). Being at the event loaded me with a ton of information and I was beyond excited for what we could do in our city on a scaled model of their event. At the time, Sons of Anarchy was in it’s final season and one of the major guests for the Calgary Expo that year was Kim Coates from the series. His seamless positive manner and natural charisma made him an absolute fan favorite for the convention. We reached out to him to see if he would be open to the idea of coming to Prince George for an event. We still did not have dates in place but the prospect was there. As fortune would have it, the President of the BCNE (British Columbia Northern Exhibition) at that time, Alex Huber was looking for different ways to energize their brand. They had watched the George St. Pierre event unfold and were open to the idea of a celebrity placement. When I mentioned the possibility of Kim Coates, Alex was excited. It meant Coates would not be coming to our first ever FanCon (I don’t think we had even named it at that time) but it would provide us with some critical operational experience. We hosted Kim at a fundraiser event for the BCNE at Pine Centre (thanks to General Manager at the time Sonya Hunt). He did not disappoint. During the autograph and photo session at the mall, exuded the same energy and relatability that I had seen in Calgary and, at that moment, I knew we were headed for something big. Alex felt it too and asked if we could make a quick stop after the scheduled appearance to introduce Kim to local philanthropist Brent Marshall. He had been a big supporter of the BCNE and Alex wanted to show him the exciting new initiative. Brent was thrilled by the surprise and the two hit it off immediately. It was a truly exciting moment because I knew there was more to come for the BCNE and eventually what would become FanCon. To say that Coates galvanized the interest that paved the way for Northern FanCon was an understatement. If it were anyone else for that particular appearance, it may have gone a completely different way. Instead, in a long list of surreal moments throughout my career, that evening, I found myself with Brent, Alex, Kyle and Kim Coates having drinks on the Earl’s patio looking forward to the next big step on the way to FanCon year 1.